The California Energy Commission’s Title 20 Appliance Efficiency Regulations require new or replacement filtration pumps for residential pools to meet certain energy efficiency standards. Specifically, pump motors used to filter pool water that were made on or after Jan. 1, 2006, must operate at two or more speeds and such pumps may not be split-phase or capacitor start. The most common replacements are variable speed pumps due to there impressive energy savings. California has over 1.5 million private residential, in-ground swimming pools. On average each one draws 1.75 kW (kilowatts). Collectively, and if operated simultaneously, this would be over 2600 MW, or the total output of 6 medium sized power plants. If, and when all these pools are energy efficient, only 2 power plants will be needed, eliminating the need for 4 power plants. 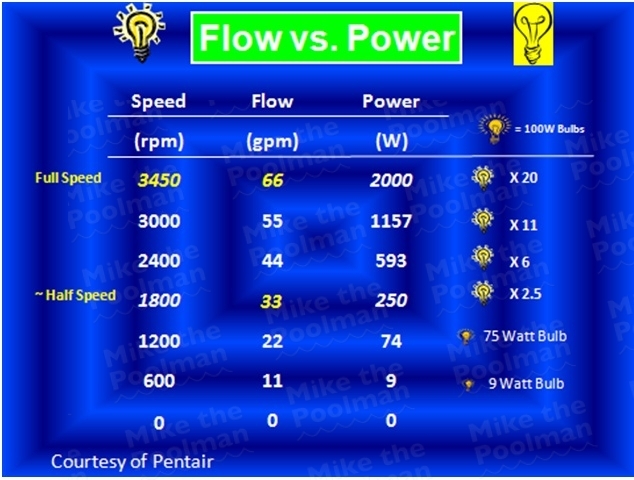 On January 01, 2008 all pool filtration pumps in California with a “Total Horsepower” of 1.0 (HP x Service Factor) or larger must be a 2 speed or variable speed pump. Rebates of $100 are available through 2012 for PG&E electricity customers having a variable speed pump installed by a Certified Aquatic Equipment Installer. 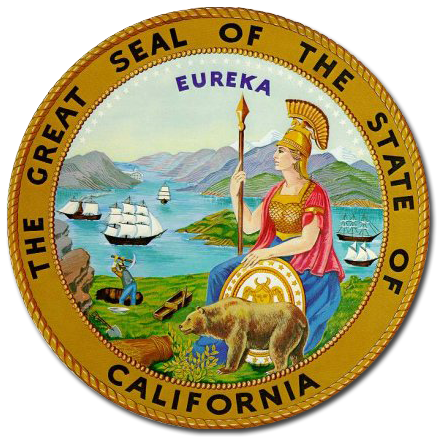 Mike the Poolman is a Certified Aquatic Equipment Installer for PG&E. Contact us by email above to set up your pool energy audit. Visit our detailed variable speed pump page for videos and facts. 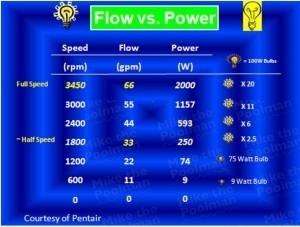 An Average single speed pool pump will use 2300 watts (230 volts x 10 amps). This is the equivalent of TWENTY THREE 100 watt light bulbs. A variable speed pump at 1800 rpm uses 250-450 watts (plumbing and water hydraulics account for the difference in watt consumption). Hiring a Certified Installer (Mike the Poolman) is recommended for maximum efficiency and savings. Contact us above to set up an energy audit on your swimming pool.